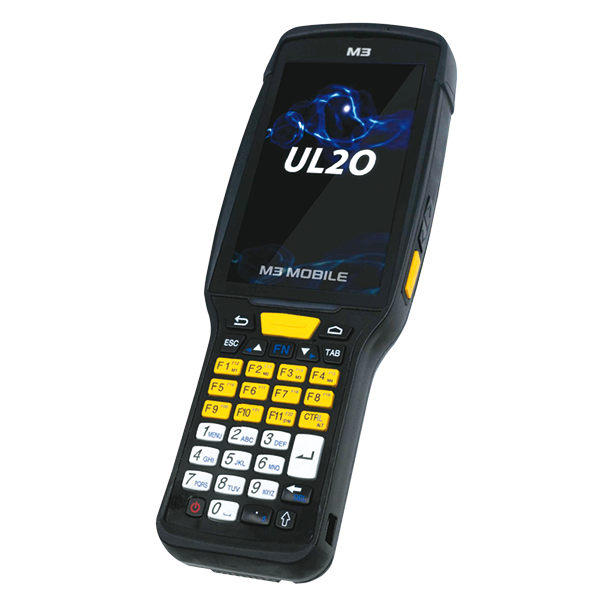 The UL20 mobile computer UL20 mobile computer from M3 ultra-rugged, ultra-fast and ultra-powerful - guaranteed by IP67 certification and the latest Android operating system, together with a powerful 2.2 GHz processor and a 6,700 mAh battery with hot swap function. With its many good features, the UL20 mobile computer is the ideal workhorse for everyone who wants to optimize processes in retail, logistics, transportation and warehousing, as well as perform more. M3 has equipped the UL20 with a 5’’ full HD display with Corning Gorilla Glass 3. The screen may be flawlessly operated wet and in the sunshine with a stylus. The operating system is the upgradeable Android. The built-in 1D/2D and long-range scanners provide reliable barcode capture, and thanks to the powerful 6,700 mAh hot-swappable battery, it lasts even beyond a normal shift. 4G/LTE, GPRS, EDGE, HSPA + and WLAN provide excellent connectivity and fast data transfer. GPS is optionally available.AN.